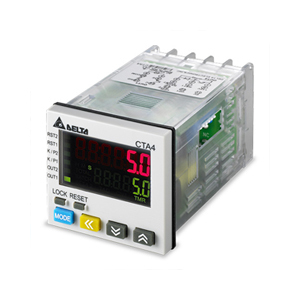 Delta CTA Timer / Counter / Tachometer is able to receive external input signals and calculate the times of events, frequency and driving speed. 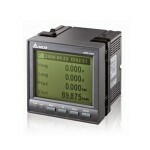 Delta CTA Timer / Counter / Tachometer is able to receive external input signals and calculate the times of events, frequency and driving speed. CTA can be applied to batch counting, total counting, length measurement, position control, accurate timing, rotation speed and so on. CTA Timer / Counter / Tachometer features easy and handy parameter settings and tuning and are certified by international standards CE and UL.